Abstract—English language, as a vital foreign language, has received considerable attention in the last 25 years in education in the People’s Republic of China. Moreover, with the development of second language acquisition theories in these years, more theories and ideologies have been introduced into China. Autonomous learning is an important case in point. When the idea of ‘autonomous learning ‘ was brought into EFL teaching and learning at the beginning of the 1990s, some Chinese scholars accepted the concept without any critical thought of its application in a Chinese context, which results in an increasing blurring of its boundaries. 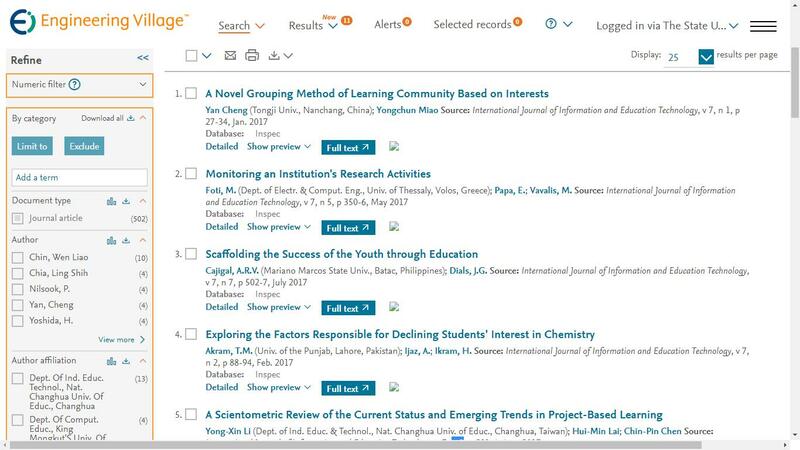 This paper firstly gives an overview of the development of autonomous learning in the PRC , and then secondly moves to present the model of English language learning and teaching by using autonomous learning theory within the Chinese context., Finally it utilizes information that leads to the suggestions and recommendations to university staff, students and SAC managers in the PRC. Index Terms—Autonomous learning, EFL teaching and learning, SLA theory, chinese context, SAC. Jinjin Lu is with the faculty of Education, University of Tasmania, Australia. (e-mail: helen820919@sina.com). Cite: Jinjin Lu, "Autonomous Learning in Tertiary University EFL Teaching and Learning of the People's Republic of China," International Journal of Information and Education Technology vol. 2, no. 6, pp. 608-611, 2012.